I'm honored to be a guest designer at Berry71Bleu! I really enjoyed designing projects with their unique vintage tags. I love that romantic old style look and I had so much fun matching it with other products and photos. 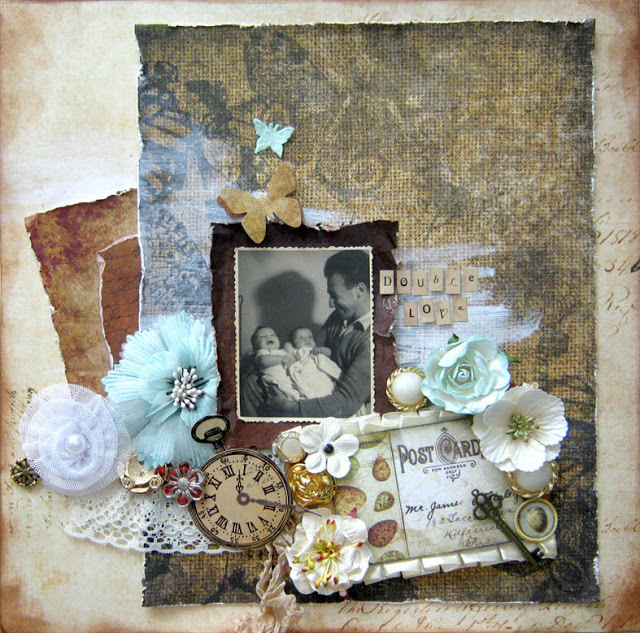 My first project is a layout with an old photo of my grandfather holding my mom and my aunt. 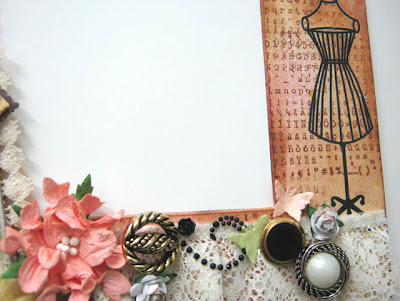 I used Berry71Bleu beautiful tag with extra matching embellishments. 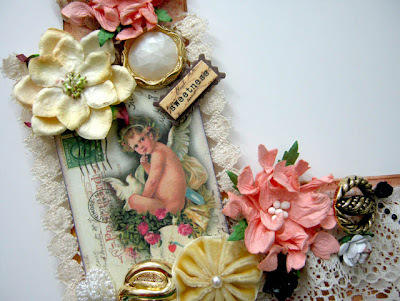 I layered papers, painted a little white paint over the top layer and added lace, flowers and buttons. 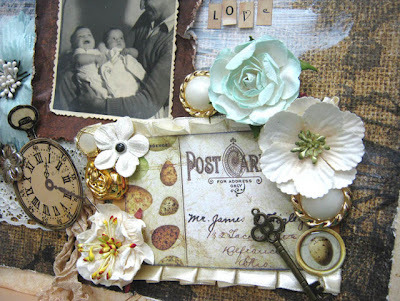 All with a vintage look and feel. 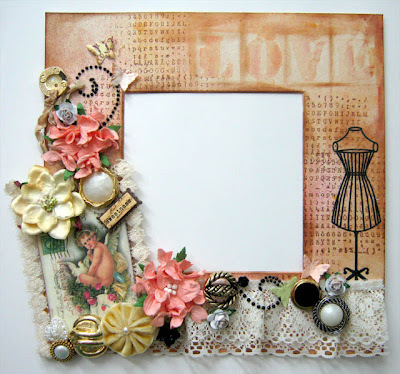 My second project is a romantic frame with hints of pink (can you believe it?) and a wonderful Berry71Bleu tag. 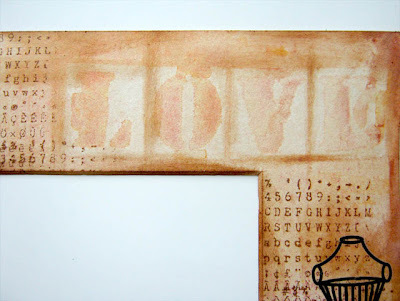 I added color and texture to the frame with some paint, mists and stamps. 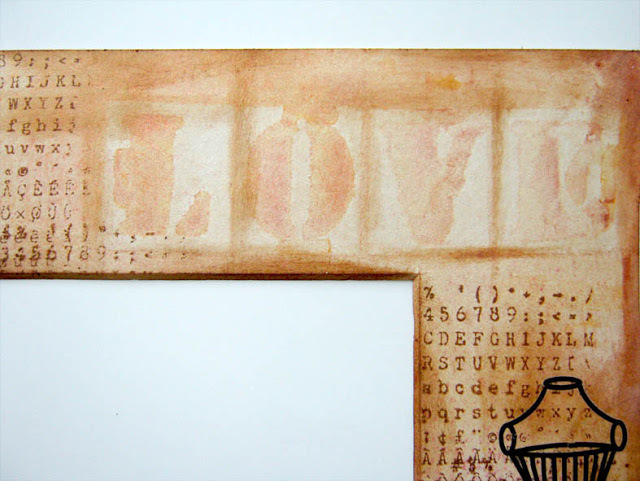 I created the "LOVE" title with chipboard letters as a mask and I misted them. I added rub-ons, lace, flowers and buttons to complete the romantic shabby chic look. 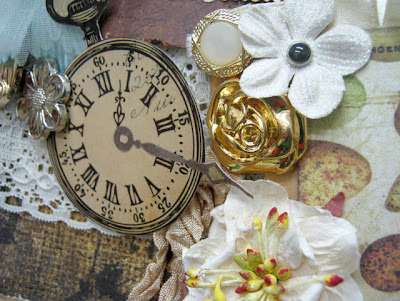 Einat..You did a very wonderful job on your projects. Thanks you for being a part of our guest designers at berry71bleu.